In that they provide a greater degree of diversification than other types of options, index options offer traders significant benefits as a tool for portfolio optimization. 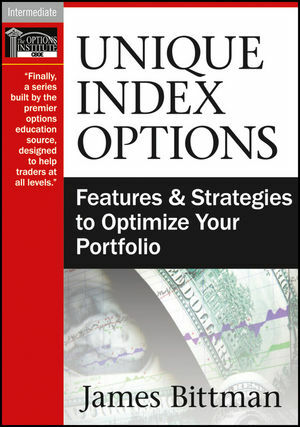 Those with a solid grasp of the unique characteristics of index options have access to a range key advantages not available using standard options. In this lively tutorial, Jim Bittman, Senior Instructor at The Options Institute at the CBOE and author of the critically acclaimed Trading Index Options, schools you in the ins and outs of index options, spotlighting their many advantages and potential pitfalls, while supplying proven strategies for using them to achieve your trading goals.